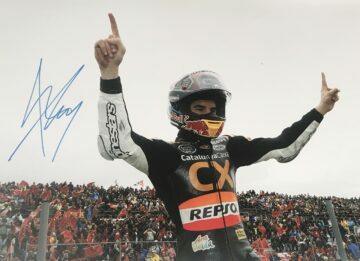 Shop our signed Marc Marquez Moto GP memorabilia featuring autographs and signatures from the great man. 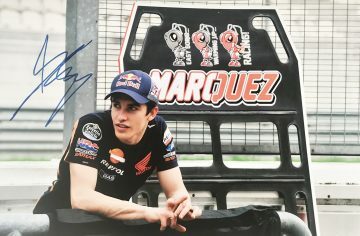 Signed Marc Marquez caps, visors, shirts & photographs. Many with signing proof! – All with Certificate of Authenticity, fast international shipping and free UK delivery! Truly talented, a legend in the making. He’s one of Moto GP’s youngest stars – and already he’s revolutionised a sport he’s been a member of for just five years. 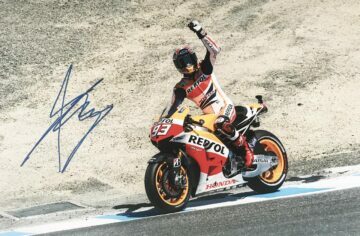 Marc Marquez is one of just four riders to have won world championship titles in three different categories, joining legends Mike Hailwood and Phil Read he holds almost 40 different records – most related to his huge success on the circuit at such a young age. The Spaniard made his championship debut in 2008 at just 15 years old. 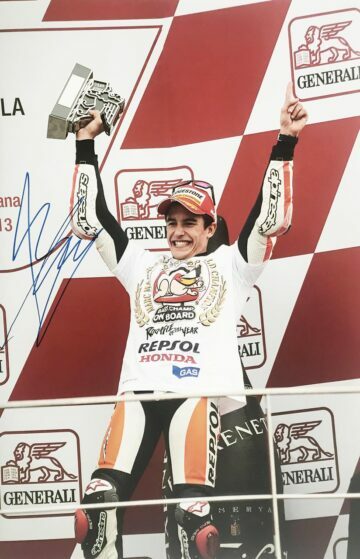 To date, he is still the youngest Spanish rider to take pole position at a motorcycle racing world championship. As of 2018, he was the third highest all-time Grand Prix winner. He is considered by many to be one of the greatest innovators of modern Moto GP racing – thanks to his daring and provocative racing style. 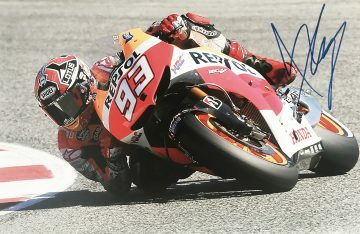 He is particularly well known for his exaggerated cornering technique – as he leans so far over the bike he appears to be in danger of sliding out. This risky tactic has earned him worldwide recognition and many of his spectacular title wins. 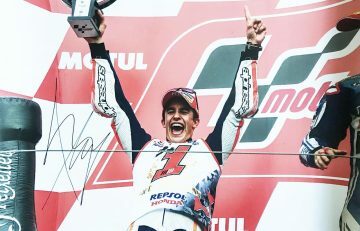 He dominated the 2018 Moto GP season and shows no signs of stopping yet – with plenty more time to keep breaking records and changing the shape of the sport for years to come. 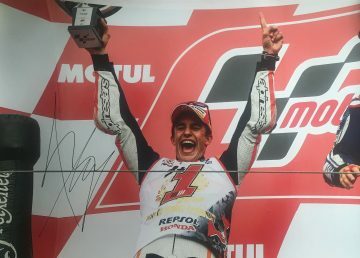 Shop Marc Marquez signed Moto GP shirts, photos, caps & visors now at Firma Stella. 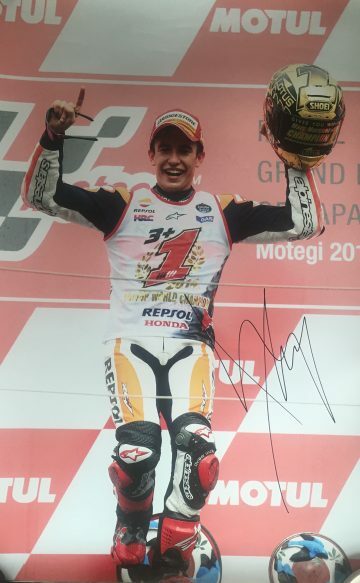 Our fabulous collections include 100% genuine items autographed by Moto GP’s rising star. We independently verify and directly source our items, which are all supplied with a certificate of authenticity for complete peace of mind.